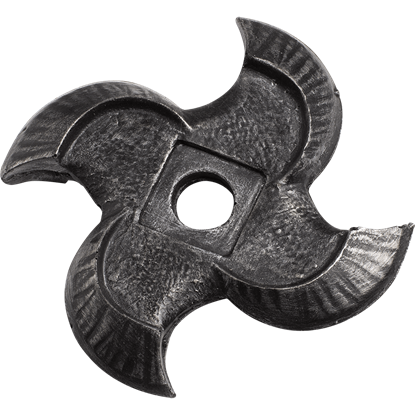 The favored throwing weapon of ninjas, the shuriken is a blade that possesses a lot of damage power. If you use shurikens while you LARP, it is time to store them in style and keep them at your side with the Shuriken Leather Holder! Save yourself the difficulty of retrieving a shuriken from your pouch with this handmade leather holder. Available in black and brown, this sheath is made from full-grain leather and fastens to your belt with leather laces. 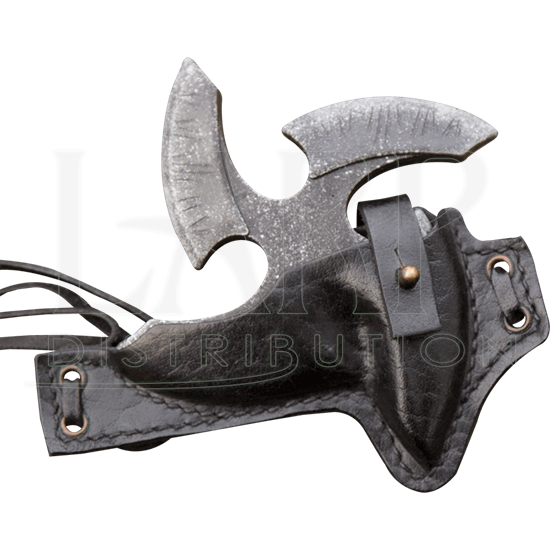 Weapons like the Black LARP Shuriken (MCI-2853) throwing star will be kept secure thanks to the strap and button fastener that loops over the arm of the blade. 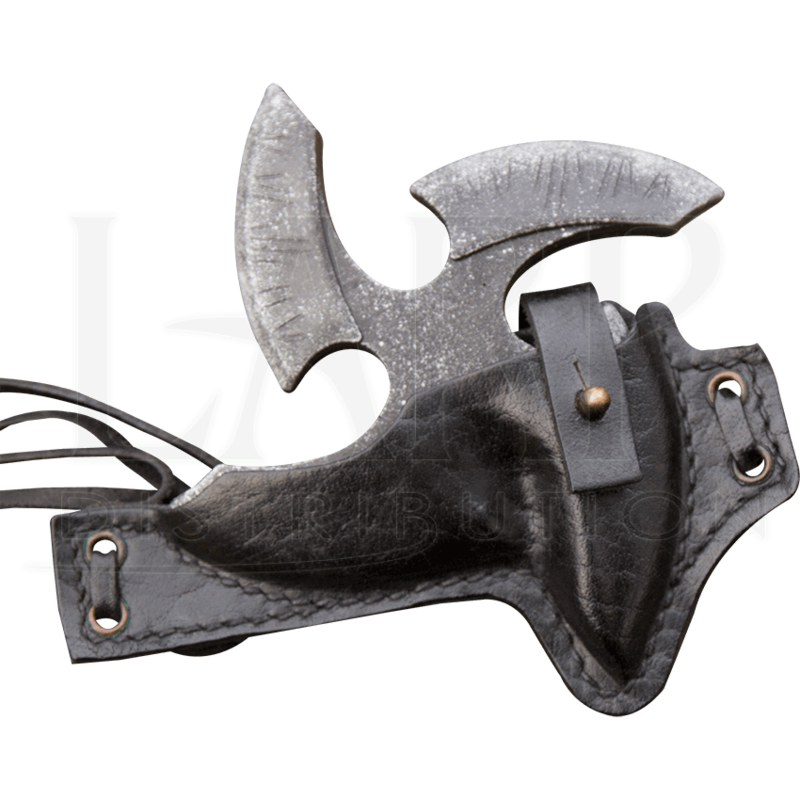 Enhance your ninja themed LARP outfit or bring an easier form of storage to your outfit by gearing up with the Shuriken Leather Holder! This rectangular pouch is great for knights. Being that it is shorter than it is wider, it is ideal for horseback riding. Carry your small necessities with you as you ride about. 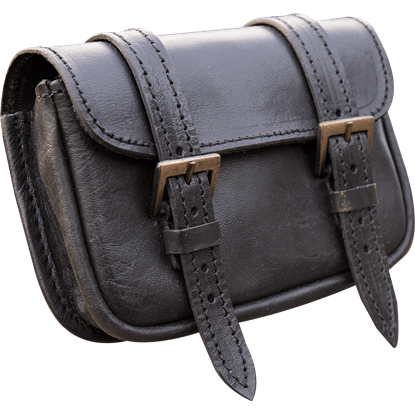 Available in black leather or brown leather. Sometimes one bag is just not enough. 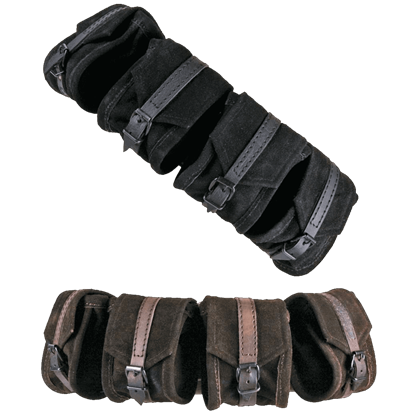 The Friedhelm Multi-Pouch Set, with its four separate suede bags, offers a solution to this issue. 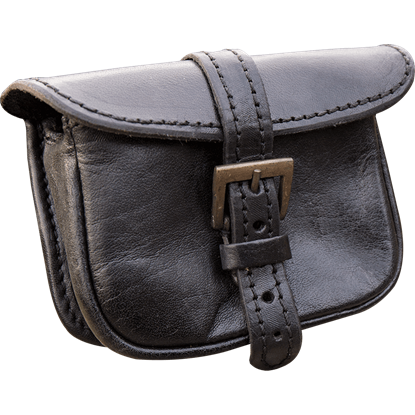 For ultimate storage ability, attach all four bags to the belt of your favorite LARP outfit. 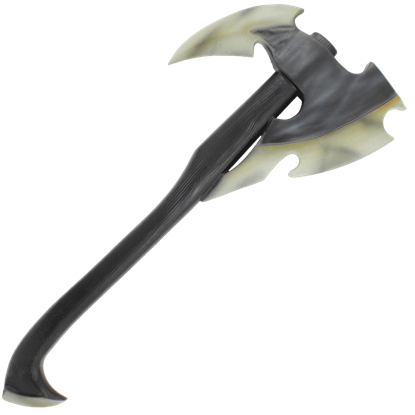 Dark elves are particularly known for their cunning and viciousness, and this Dark Elven LARP Axe represents those qualities perfectly. In spite of its sinister look, it is rather safe, being made from quality latex and foam.